Since improvements were completed in 2015, the Makapu’u Lighthouse Trail has become one of the most popular hiking destinations on Oahu. It is also historically significant. Improvements to the area include much-needed additional parking and the paving of the original path. Located at the very tip of southeast Oahu, the Makapu’u Lighthouse Trail is ideal for novice hikers and not much more than a brisk walk for experienced hikers. It has a moderate, almost welcoming slope that climbs to the east before turning north for the stretch that takes hikers to the lighthouse. On clear days, Molokai, Maui, and Lanai are visible many miles to the east. 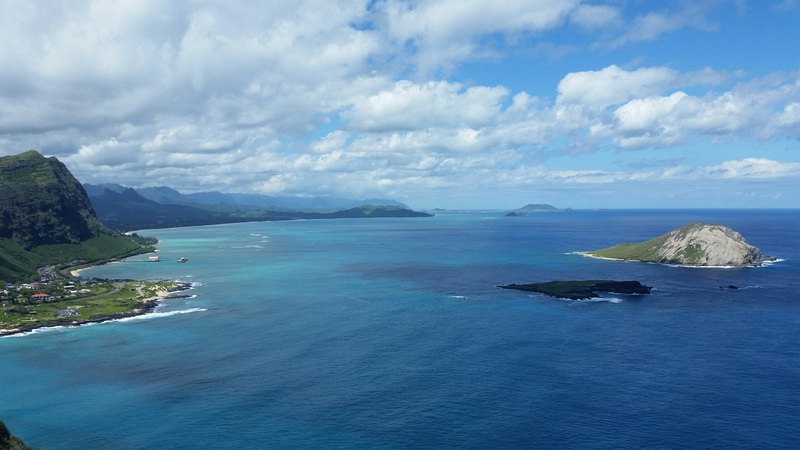 The view north from the lighthouse is alone worth the trip, a vista of windward Oahu stretching to the horizon. 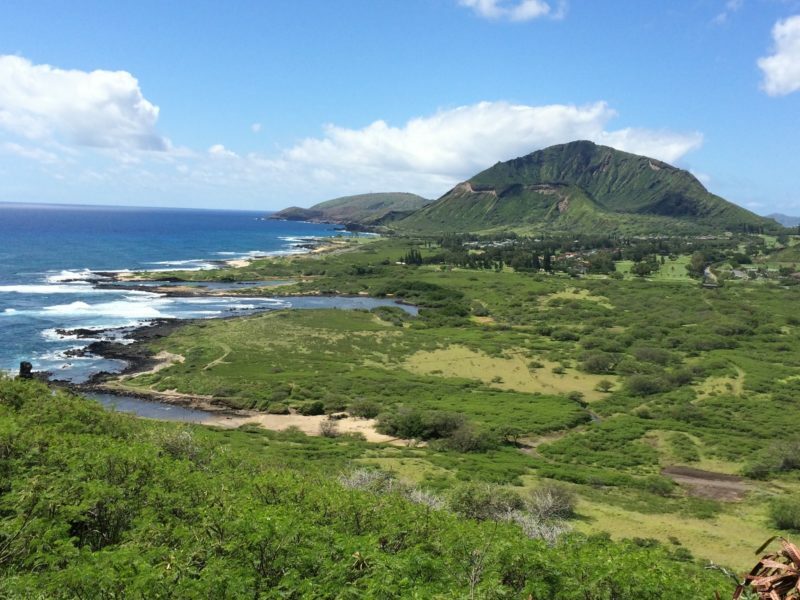 To the south is the dramatic Ka Iwi Coastline and the towering Koko Crater. The trail is also ideal for whale-watching when the gentle leviathans make their annual pilgrimage to these islands each winter. 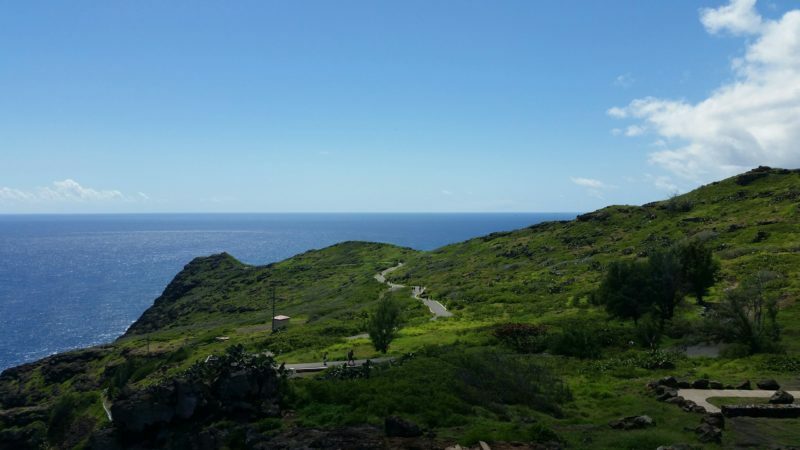 And while the Makapu’u Lighthouse Trail is widely popular among both residents for its ease and stunning views, the origins of the lighthouse itself makes it an important historical site as well. It is operated by the United States Coast Guard. Efforts to build the lighthouse began in the mid-1880s as Hawaii’s shipping industry was growing at a feverish pace. After annexation, the U.S. congress appropriated funding in 1906. The lighthouse began operations in 1909. At its completion, the lighthouse was outfitted with a 12-foot tall eight bright eyes, 12-ton lens featuring more than a thousand prisms. It was then the largest lighthouse lens in operation in the United States. It still is, and it remains a vital navigational tool for mariners. Soon after it began operating, the Makapu’u Lighthouse was equipped with Hawaii’s first radio beacon. In the early days of its operation, the lamp was lit using highly flammable oil vapor. In 1925, an explosion caused by an accidental spill killed an assistant. The lighthouse now features a 500-watt light bulb. It was fully automated in 1974 (the radio beacon was taken out of service one year earlier). According to native Hawaiian legend, Makapu’u was the home of a female deity said to have eight bright, shining eyes. The fact that it is now home to a beacon of light may be just a coincidence, but it’s a fun one. The three-mile hike doesn’t offer any shade, and the arid landscape means that you should take along plenty of water and snacks for the trip. Vehicle break-ins have been reported in the past, so it’s best not to leave valuables in your car.